A pet project of Michelle’s, we created this poetry blog devoted to sharing really good poems in 2006. It’s been updated several times over the years. The latest version was designed by William Blacklock and developed by Friendly as a custom WordPress theme. 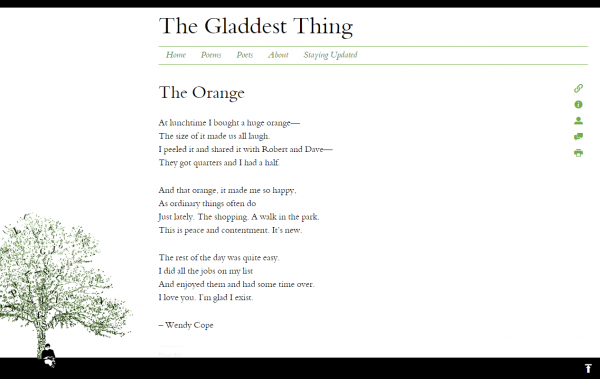 Subscribers receive emails each time a new poem is posted on the site.